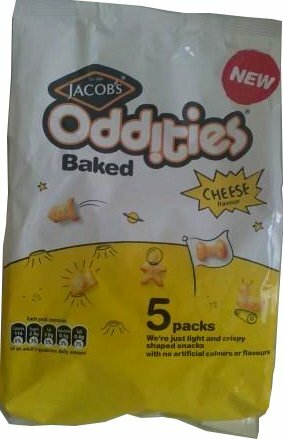 Always on the hunt for interesting snacks to pop into the kids lunchboxes, I was pleased to spot these new baked snacks called ‘Oddities’ by Jacobs. With their bright and cheerful packaging, they're designed to get themselves noticed among the myriad of snack packs vying for supermarket shelf space. Currently they are available in two flavours: Smoky Bacon or Cheese. 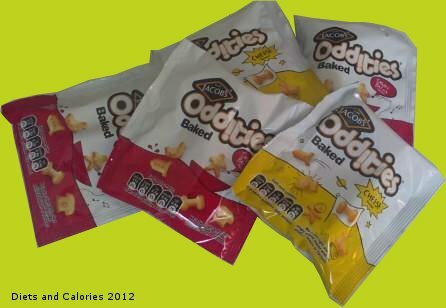 Jacob’s Oddities are light and crispy, mini savoury biscuits baked into a variety of shapes. For example, there’s a rocket, a phone, a person, a duck, a bone and something which looks like a camera. Various pack sizes are available. 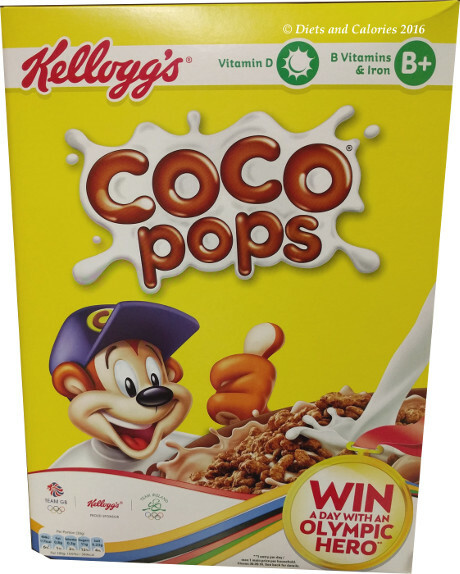 There are multipacks which contain five 25g bags. The packs look small, but they hold loads of mini snacks (at least 30) and they are the perfect size for putting into lunchboxes. The Smoky Bacon flavour has 113 calories and the Cheese flavour has 114 calories. 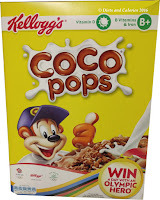 If you prefer to buy them in individual pack sizes, there are 30g handybags. These have 136 calories and 137 calories for the Smoky Bacon and the Cheese flavours respectively. Finally, there are the 125g sharing bags with the Bacon flavour worth 565 calories and the Cheese 125g pack having 570 calories. 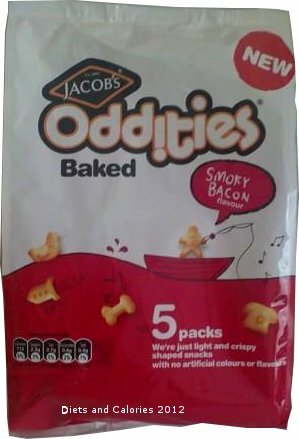 Jacob’s oddities aren’t specifically targeted at the children’s market as such, though they’ll probably enjoy the novelty of the shapes more than the average adult! 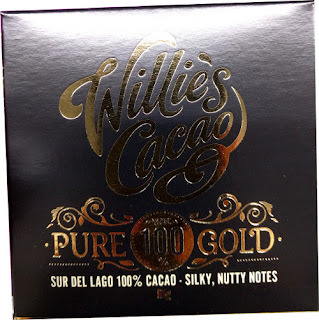 The tastes aren’t overpowering but have enough flavour to make them incredibly moreish. Everyone in my family liked both varieties equally, so it looks like Jacob’s Oddities will become a regular feature on my shopping lists. Nutrition Information Per Cheese flavour 25g bag: 114 calories, 2.4g protein, 17.2g carbohydrates, 2.4g sugars, 3.8g fat, 0.5g saturates, 0.8g fibre, 0.4g salt. Suitable for vegetarians, yes, even the bacon flavour too!